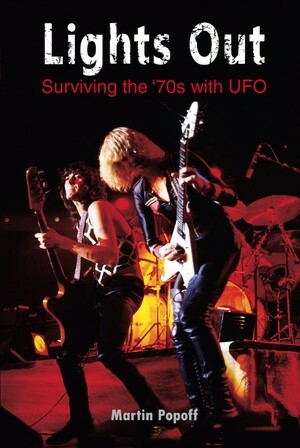 Having written the first book ever on UFO, 2005’s long out-of-print Shoot Out the Lights, Martin Popoff, author of seventy rock books, has now greatly expanded and rewritten the early years material from that title. 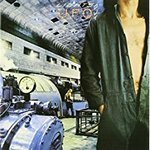 Popoff brings to the project new interviews with all the members of the classic lineup (plus the likes of producer Ron Nevison and graphic artist Aubrey Powell), along with a substantial amount of new research to offer what is now the only book to focus on the seventies era of the band. Utilizing his celebrated one album per chapter method, Popoff analyzes the complete catalogue from this golden period of the band—1, 2: Flying, Live, Phenomenon, Force It, No Heavy Petting, Lights Out, Obsession and Strangers in the Night—bringing you the stories of hits such as 'Doctor Doctor', 'Rock Bottom', 'Shoot Shoot', 'Let It Roll', 'Lights Out', 'Love to Love', 'Too Hot to Handle' and 'Only You Can Rock Me'. 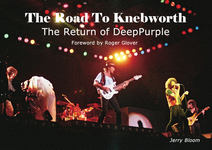 In and around Popoff’s famed meticulous analysis of the catalogue, look for lots of tour talk, revealing nightmares surrounding the band’s business, and warnings about how the twin demons of drugs and alcohol can slow a band’s progress on the way to the top. Also includes a full band discography.